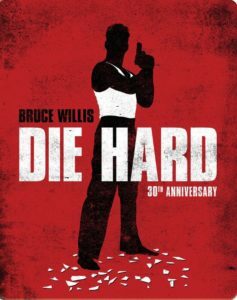 On 20th October LAHTF celebrated the 30th Anniversary of DIE HARD at the Palace Theatre on Broadway. A screening of a pristine 35mm archival print of the movie was followed by a Q&A with the film's screenwriters, Jeb Stuart and Steven E. de Souza, moderated by Jeff Goldsmith, publisher of Backstory Magazine and host of The Q&A with Jeff Goldsmith podcast series. A big thank you to Jeb Stuart, Steven E. de Souza, Jeff Goldsmith, and Broadway Theatre Group for helping make this event possible.